Ultimate Guide to Pinpointers. Honestly. How to Spot a Good Pinpointer? 12 Pinpointers Compared. Purchasing a pinpointer is an investment you should make after you have acquired a metal detector and a shovel/spade. A metal detector is used for general identification of a metal object in the ground, a pinpointer is used for faster detection of an object after you have dug a hole. 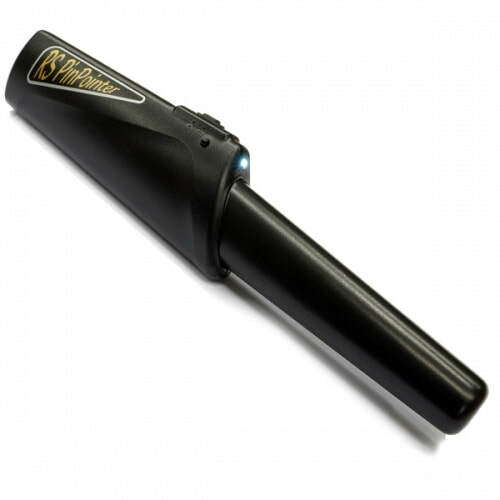 It is recommended that you purchase a pinpointer with a metal detector, as this device will have a tremendous effect on your searching speed, especially when you are a beginner. I would say that with a pin-pointer, you will dig 3 times more holes due to the faster discovery of an object. How To Spot a Good Pinpointer? There are many articles on the web and Youtube with a comparison of 2-3 pin-pointers. I have not found a full comparison of all pin-pointers available and decided to make an exhaustive review. Also, I have a feeling that some reviewers haven't ever held a pin-pointer in their hand as they do recommend Chinese production. There are multiple Chinese brandes named Deteknix, GP Pointer, Longruner, Supereye etc. Some will cost 1/3rd of the Garrett pin-pointer, some will cost you almost the same money (like Deteknix). Please AVOID THEM at all cost and don't waste your money. These pin-pointers will extend and not shorten your search time. Uneven detection accuracy, very unstable signal, pin-pointers react to hot stones. Garrett Pro-Pointer II – is an improved version of predecessor Pro-Pointer I that has set a standard for all other Pin-Pointers on the market. This is one of the most popular probes, works very well in any conditions like salty water and mineralized soil, has fast retuning capability. There is a useful lost alarm that will sound for 60 minutes after 5 minutes of inactivity and auto switch off after 1 hour of lost alarm. Sadly this probe does not have sensitivity adjustments. This Pin-Pointer is not submersible but it is weatherproof, also running water won't damage the probe while you'll be cleaning it. After years of use, on-off rubber switch might wear out, it is relatively cheap to replace it (about 3-5$). Please be aware that there are identical Chinese copies of Pro-Pointer II probes that have really poor performance. Original can be bought here on Amazon. 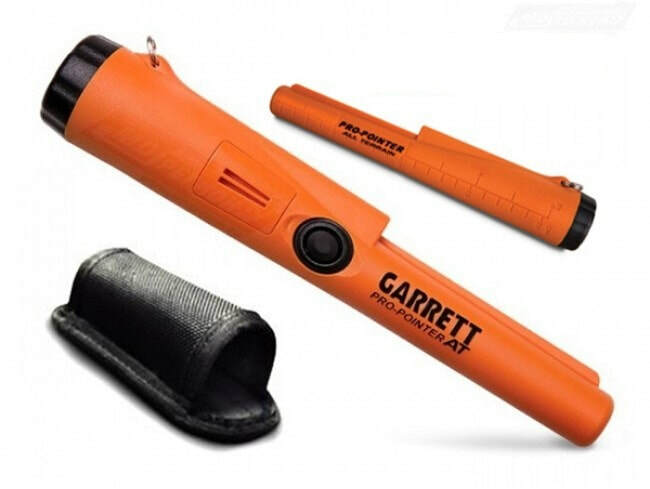 Garrett Pro-Pointer AT – the most popular probe that has all the good features Pro-Pointer II has - plus it is submersible up to 10feet / 3 meters and has 3 levels of sensitivity. Sensitivity setting is time to time used for understanding of how much deeper target is in the hole or sidewall of the hole.Bright orange color makes it visible in any conditions that can't be said about the black probe. Additionally, it has stealth mode where sound can be switched off and only vibrations left, this useful when detecting in a place where you would like to stay unheard. This carrot is really universal hard to kill probe that can be recommended to absolutely everyone. Currently, it is on sale on Amazon and is very similarly priced to Pin-Pointer II, so no doubt which one to choose. If you have another detector than Deus, don't worry this probe can be used stand alone. Mi-6 is submersible 20feet or 10 meters, plus it will float and won't sink. The detector has chargeable Lithium battery with mini-USB plug, this is really convenient, as it can be charged from your car lighter, mobile phone, power bank etc. All parts of Mi-6 are replaceable that makes this pinpointer immortal. This is the best pin-pointer available you can have today, check the most competitive price here on Amazon. ​Minelab Pro-Find 25 – This is the oldest probe of Minelab and production is discontinued. Really sensitive probe that reacts to even small fractions of metals. There are two separate sensitivity buttons for fast retune. Has vibration only mode, lost pinpointer alarm and auto power off. ​DIF feature prevents the probe from interfering with a metal detector while the pin is turned off. Time to time users report that probe is touch and pressure sensitive when in maximum sensitivity mode, it can be eliminated by decreasing sens. 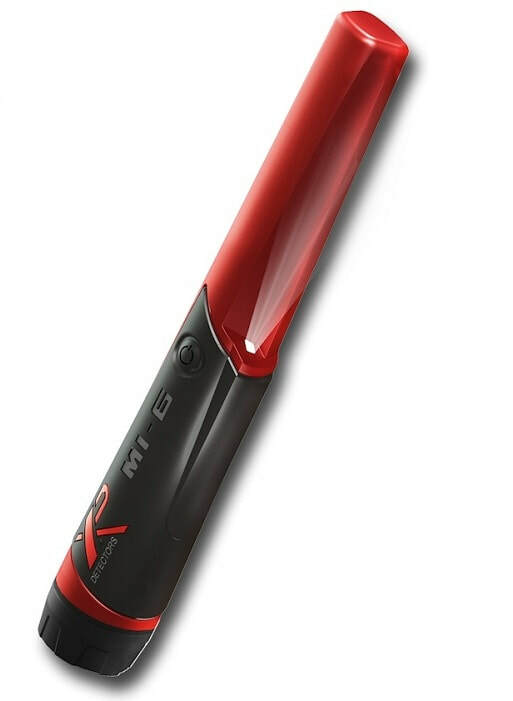 This probe has a price tag similar to XP Mi-6, it is more expensive than Garrett Pro-Pointer AT, so I would rather go with XP or Garrett. ​Minelab Pro-Find 15 and Pro-Find 35 – newest addition in the end of 2017. Pro-Finder 15 is an alternative cheaper version that has just core pinpointer features. It is lacking LED light, adjustable sensitivity, vibration response, ferrous tone ID is and is not waterproof (still weatherproof). Pro-Finder 35 is currently replacing Pro-Finder 25. Now it is 10 feet / 3 meters waterproof and has a different audio response on ferrous objects. This is a feature other producers are not offering. The rest is similar to Probe nr 25. Both probes are visually identical and have high visibility color. Pro-Find 15 is the best budget pin-pointer on the market, as it costs slightly below 100$ on Amazon. 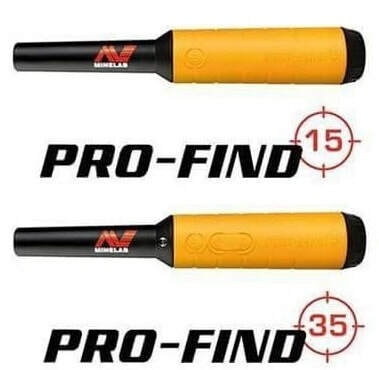 Pro-Find 35 is priced similarly to other detectors and I do recommend this probe. Check for the most competitive pricing on Amazon. ​Nokta RS – is one of the deepest pin-pointer on the market. Sadly it is lacking waterproofness and you can't stand even rain, as battery cap is really badly sealed, located on the bottom of pinpointer. Holster that comes with the probe is clumsy and its securing clip doesn't hold well. Another annoying feature that Nokta RS has is a long on and off switching time. Pin-pointer is supposed to save searching time. I can not recommend this probe. 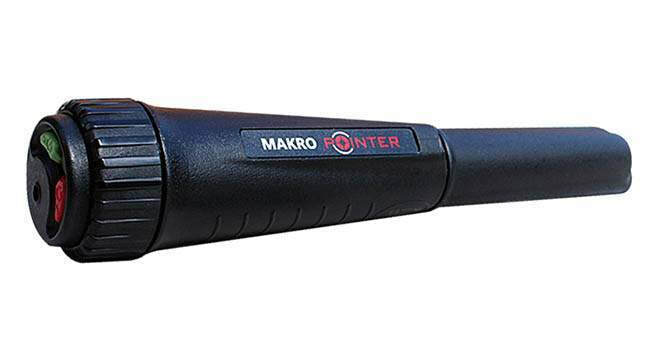 ​Makro Pointer – another Turkish product. 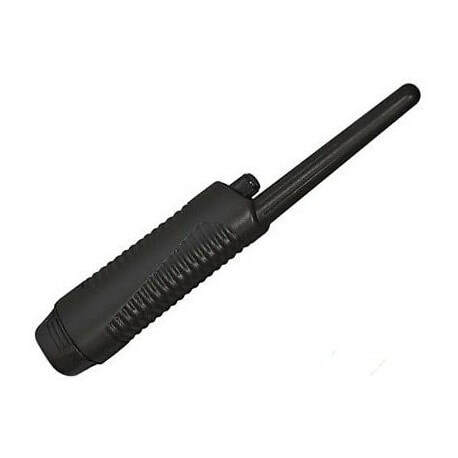 This one is IP67 rated that means waterproof up to 3,3feet or 1 meter. Pin-pointer has the same problem as Nokta RS, it switches on time is rather long. 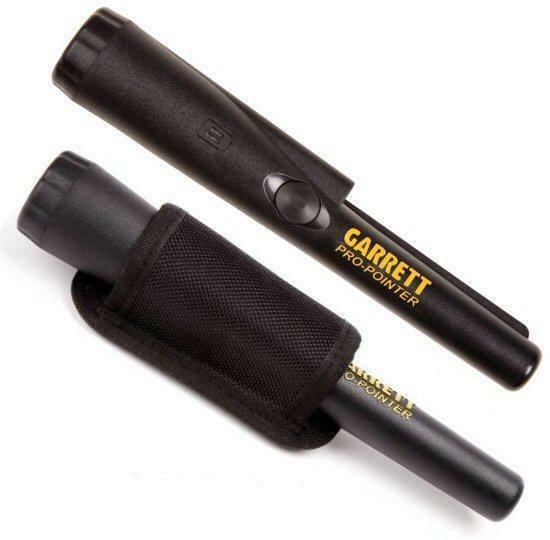 I can not recommend it, as it costs the same amount of money as Garrett Pro-pointer AT. 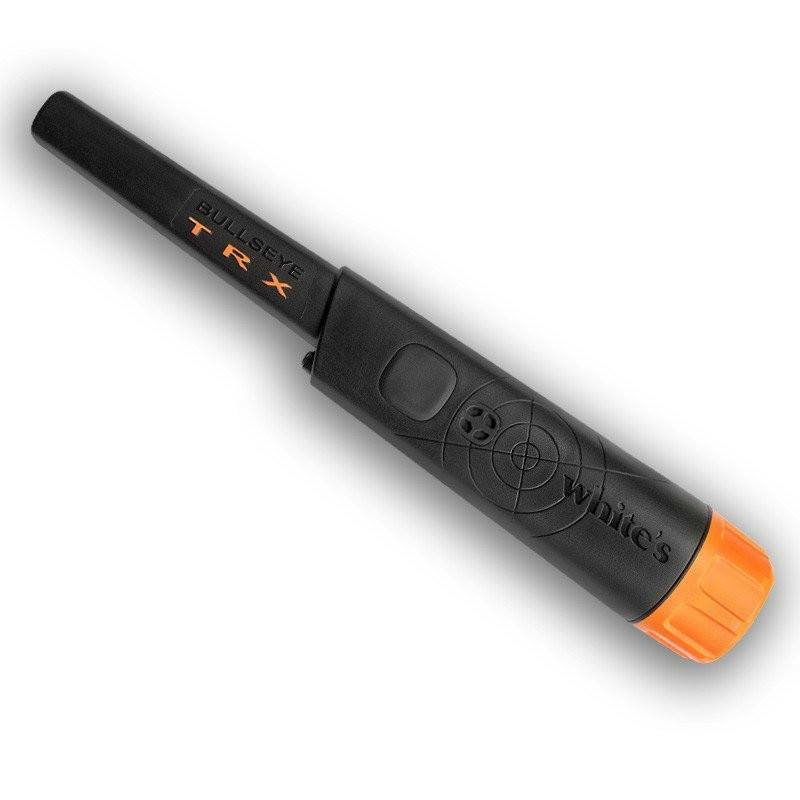 ​Whites Bullseye TRX – this is the deepest pin-pointer available, but I can not think a reason, why would I need a probe that deep. Purpose of a pinpointer is to localize a find within a small area, deep searching is done by a metal detector. The probe itself is well built, 10feet waterproof and has all the necessary features a decent pin-pointer should have, except one. Its nose does not detect 360 degrees around it, only the tip is sensitive. I find it to be a weakness and for the price Whites is asking for it, they should have made it complete. You can use both 9V and AA batteries in this probe that is a convenient option to have. All in all, I have mixed feelings regarding this detector. Hope Whites will decrease TRX price to 100$, at this point, it would be a reasonable purchase, but for now, keep an eye on Amazon.com. ​Deteknix XPointer and XPointer Pro – if you haven't yet seen a video test on Youtube, please do it now link. It is impossible to be sober and recommend incomplete Deteknix probes when you can have Garrett or Minelab for the same amount of money. Fisher F-Point also was known as Bounty Hunter PinPointer and Teknetics PinPointer – All those brands belong to company First Texas and it is the same detector for different price tags. Fisher will ask 70$ for it, Bounty Hunter 40$, but you can have it below 30$ under the name TX-2003. It has to be tuned manually, there is a sensitivity knob you can turn that wastes your time during metal detecting. Users report that battery compartment lid brakes easily, also battery wires detach after long use. But if you are really on budget and there is no way you can find additional 60-70$ for Minelab or Garrett, don't pay 70$ for Fisher, it is exactly the same device, get a Bounty Hunter model for 33$ here.